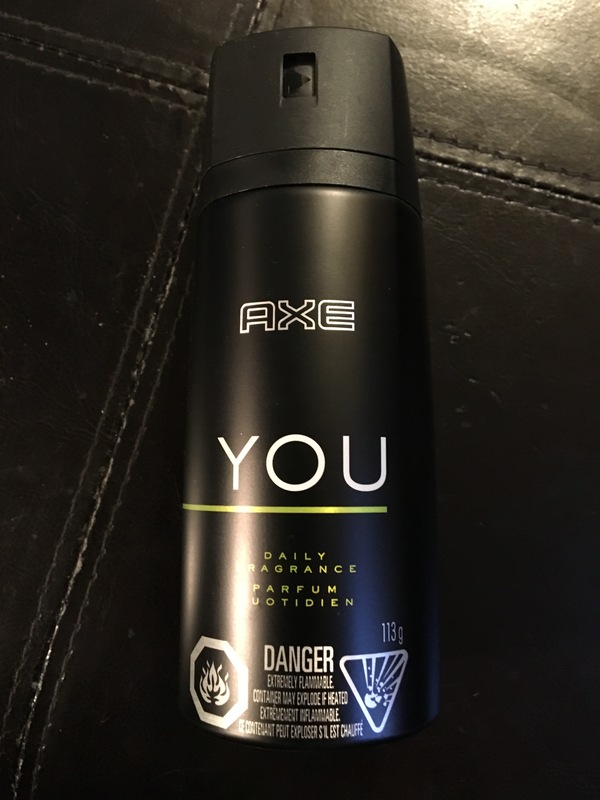 AXE YOU™ is a carefully crafted blend of modern ingredients with notes of coriander leaves, black basil, and black pepper on top of a classic structure made of timeless perfumery scents like amber, vetiver, cinnamon, and verbena. 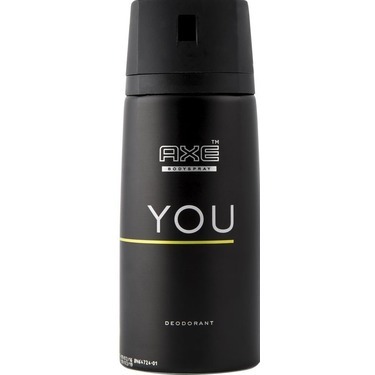 AXE YOU body spray is a daily fragrance for men. 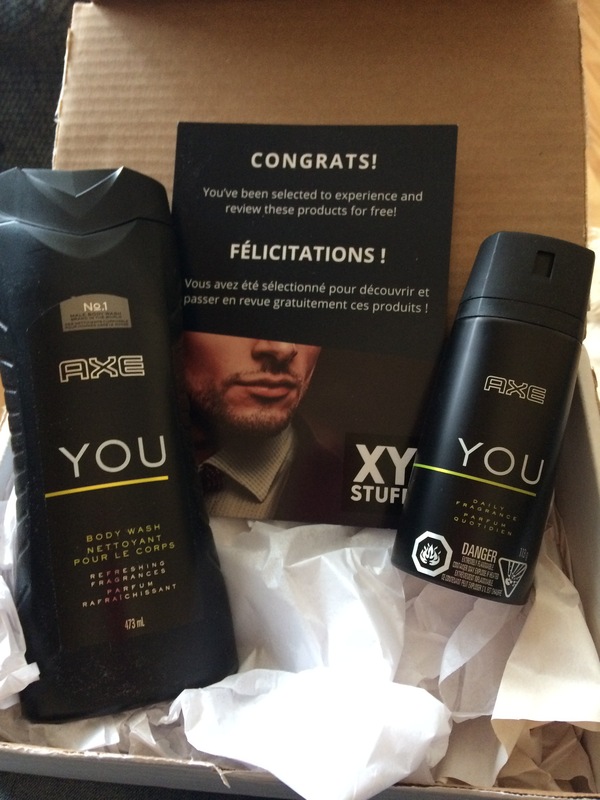 Use it just like any men’s body spray – a quick spray across the chest. 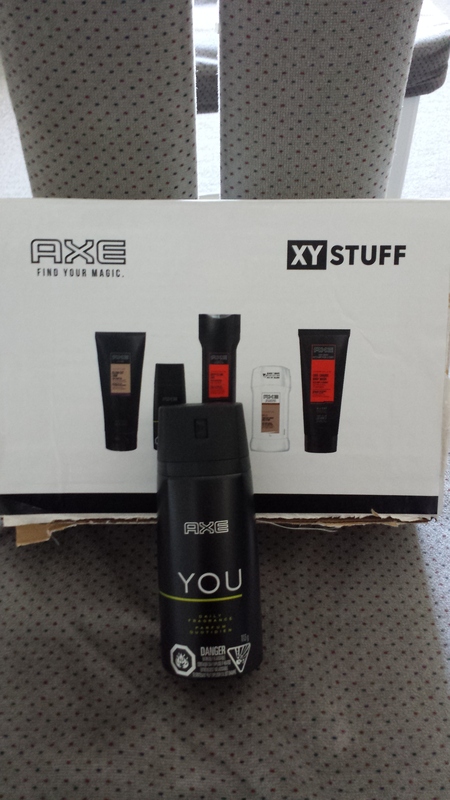 You may also like: AXE YOU Body Wash; AXE Signature Gold Antiperspirant Stick, Dry Spray Antiperspirant; AXE Signature Dandruff Defense 2-in-1 Shampoo, Skin Hydrator Body Wash, High Shine Gel; AXE Urban Thickening Style Prep Shampoo, Charcoal Clean Body Wash; AXE Adrenaline Daily Clean 2-in-1 Style Prep Shampoo, Cool Charge Body Wash.
AXE YOU™ est un mélange spécialement conçu d’ingrédients modernes aux notes de feuilles de coriandre, basilic noir et poivre noir rehaussant une structure classique de parfums intemporels tels l’ambre, le vétiver, la cannelle et la verveine. 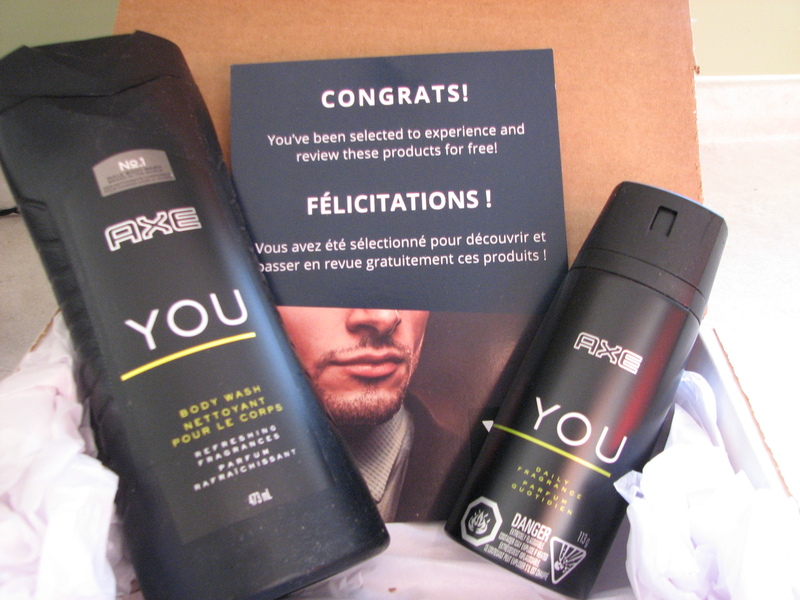 Le parfum quotidien AXE YOU est un parfum pour hommes. 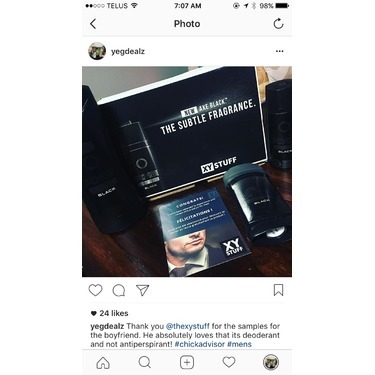 Utilise-le comme tout autre parfum quotidien pour hommes – une vaporisation rapide sur la poitrine devrait faire l’affaire. 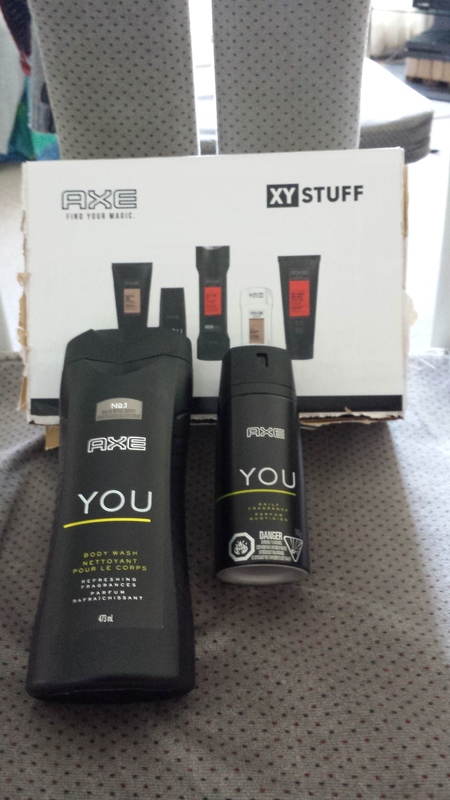 Axe You Body Spray smells fresh not overly powering. It doesn't leave marks on clothes and no irritation due to scent. Added bonus, my wife likes the smell of it. Smells amazing buy over and over. 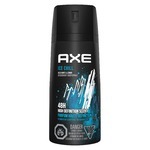 I Absolutely go no where without using my Axe YOU Bodyspray. I love the fresh smell even if my mom says it’s too strong. Lol. 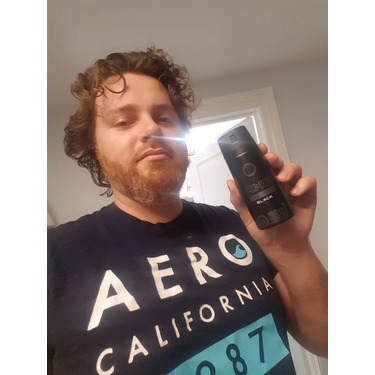 I use the spray first thing in the morning and it lasts all day. The girls like the fresh smell too. Smells great, looks great, convenient. 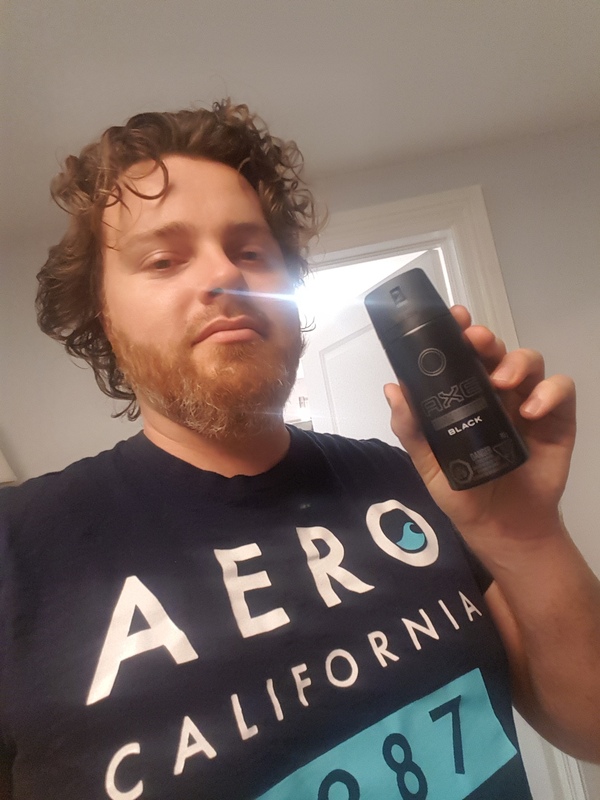 I love this product and will continue buying it. I use it everyday before I go to school or when I'm one working out. It definitely passed my expectations. Body spray has always been a mixed bag. This one in particular has a wonderful smell, after the initial blast subsides (which takes a matter of seconds). 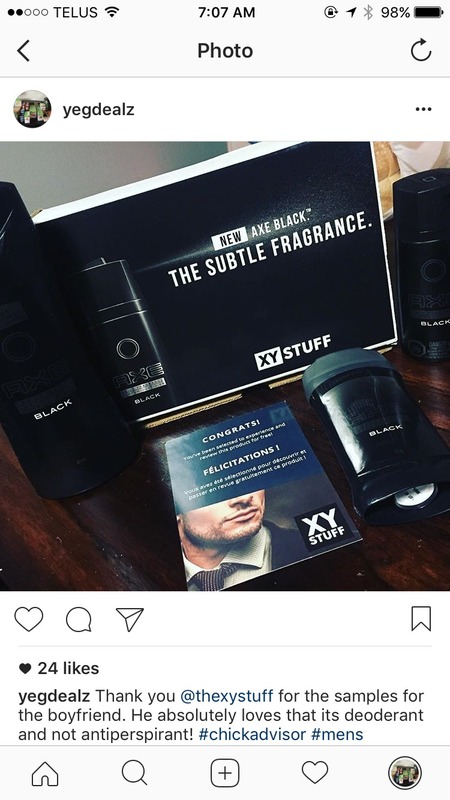 Could this product have won me over to the spray side? Not yet, but it is getting close.